Tap Custom View Folios offer a unique and custom presentation. You can select and arrange mats to create a different look for each client, making your photo delivery much more personal. The Tap Custom View Folios, are perfect for Senior Photography, Wedding Photography, Family Photography, Boudoir Photography, Glamour Photography, Commercial Photography, and so much more. Don't forget to add personal imprinting on the Custom View Folios with your clients information and your studio die. 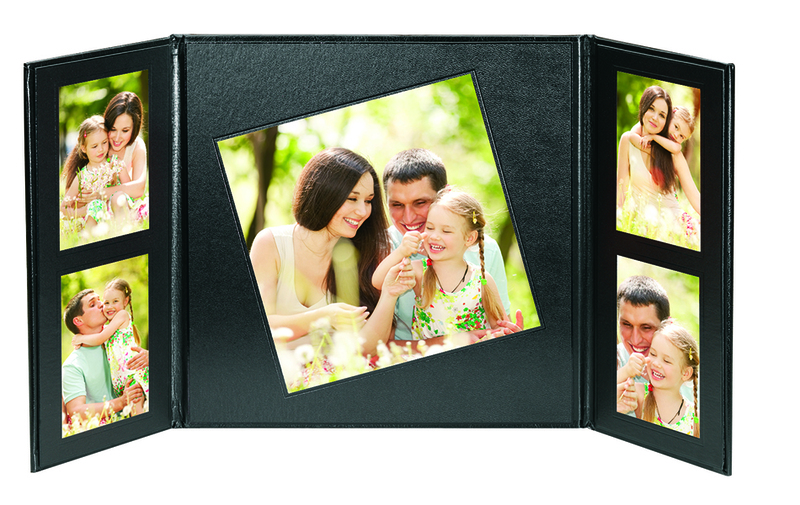 Design allows photographers to offer a customized folio to their customers. Covers and mats sold separately. 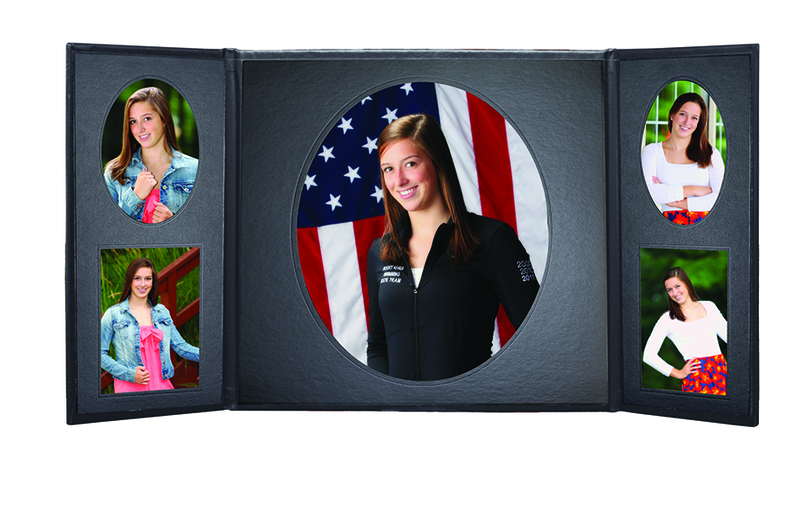 Offered in Black, Commencement cover option also available for the Custom View Folio Line. Mats are available in black and silver. Customers who purchased a TAP Custom View Folio Covers also purchased these items. Rate our Custom View Folio Covers.